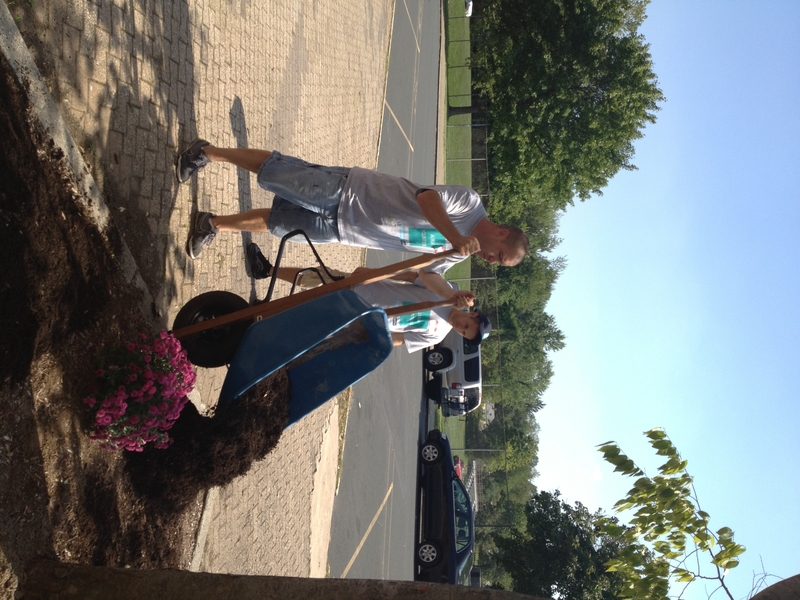 Friday, September 14, 2012 was a beautiful late summer day – perfect for landscaping and painting. On this morning 27 employees from Altria convened at Weaver High School with two things in mind: team-building and community service. The team of volunteers, many of whom work remotely throughout Connecticut, Massachusetts and Rhode Island, arrived on-site bright and early. Prior to entering the school, they met in the parking lot to do an activity. It became very evident at that moment, just how important this day was to them. As they entered the school, they were welcomed by a sea of students from the Culinary Arts Program and led to the cafe where they were greeted by the Principal and Hands On Hartford staff. The team worked feverishly both indoors and outdoors. The outdoor team weeded 12 beds, planted a dozen tulip bulbs per bed, a total of 36 purple mums, and laid mulch. It was arduous work that led to an enhanced entrance. Prior to Altria’s service project, the perimeter (in this case main entrance) lacked color – there wasn’t a single flower in sight. Moreover, the flowers have additionally created service opportunities for students who are now responsible for maintaining them. We are looking forward to visiting the school in March/April to see the 144 harbingers of spring (tulips) that will flood the entrance with color – just think about the countless smiles that will result from this action. 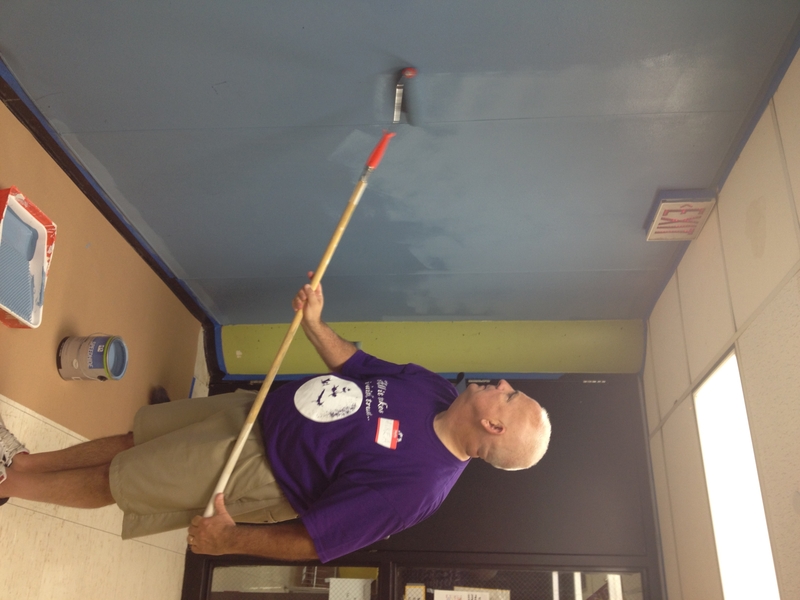 On the inside, we had three teams that focused their efforts on painting the ground floor – the hallway and the future main office of the school. The teams had a great time painting walls shades of blue, orange, green and white as well as sharing laughs along the way. 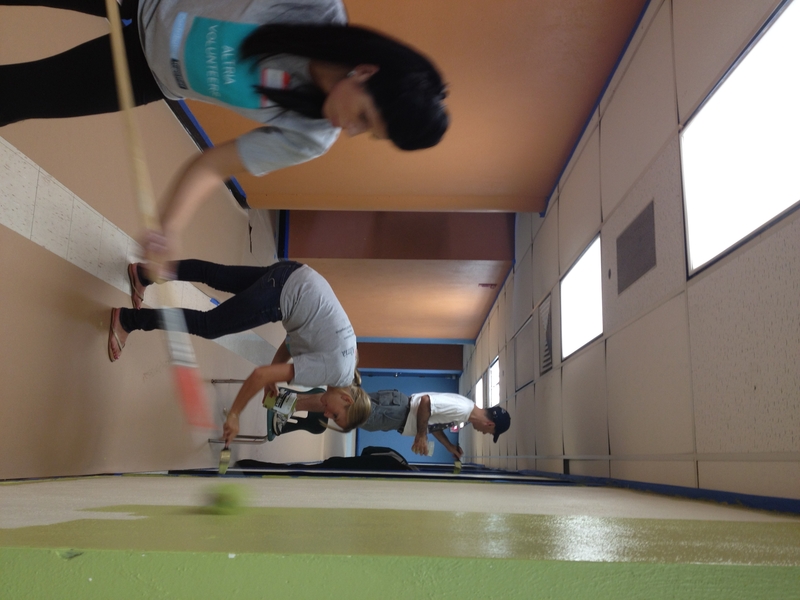 The students were pleased with the outcome and commented as they passed in the halls; they even gave official thumbs up when one of the teams elected to add some color – changing one of the white walls green. The team in the office space had a huge undertaking painting multiple offices within a larger office and met the challenge with a positive attitude and three coats of paint. This project was exciting for our organization on a number of fronts: it was the first time that we worked with Altria and a first with our newest partnering organization Weaver. Altria’s corporate team from District 1173 truly embodied the spirit of service and reinforced that community service not only makes a difference but can also be loads of fun. 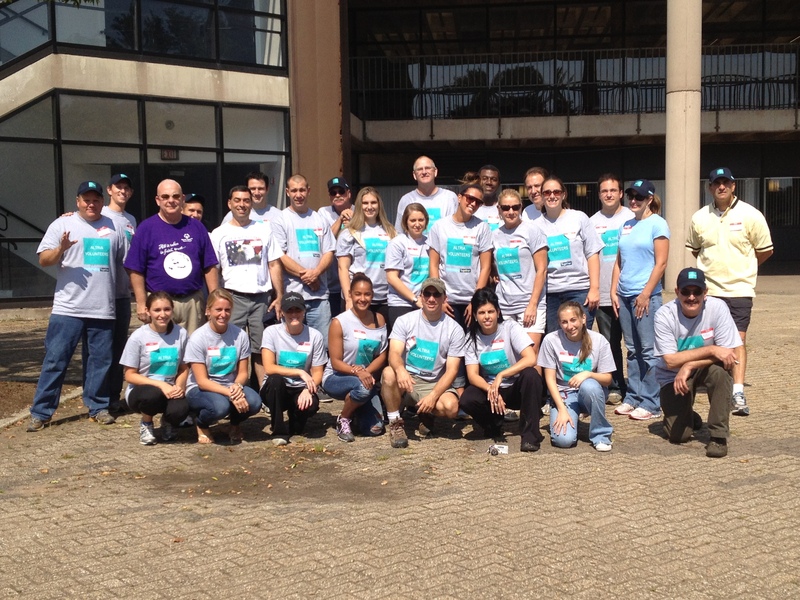 Thank you Altria for contributing just over 160 hours of your time to the Hartford Community. Hands On Hartford was proud to plan a volunteer project for the National Day of Service and Remembrance, which is held on September 11th. AmeriCorps/Peace Corps current, alum and aspiring all came together at one of HOH’s program sites to continue the renovation process of the MANNA food pantry, pack backpacks for the Nutritional Weekend Backpack Program and share experiences of service with each other. 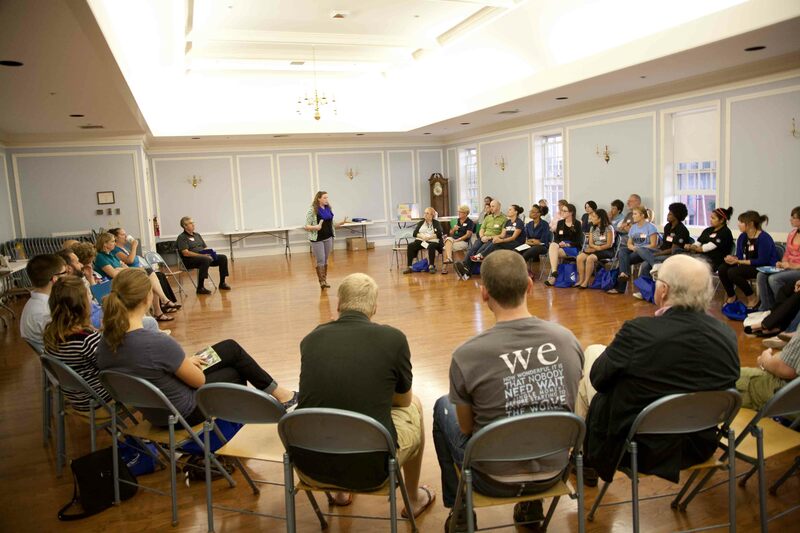 The group gathered from all over Connecticut and New York and was broken up into two teams to better accommodate the projects that were planned for the evening. 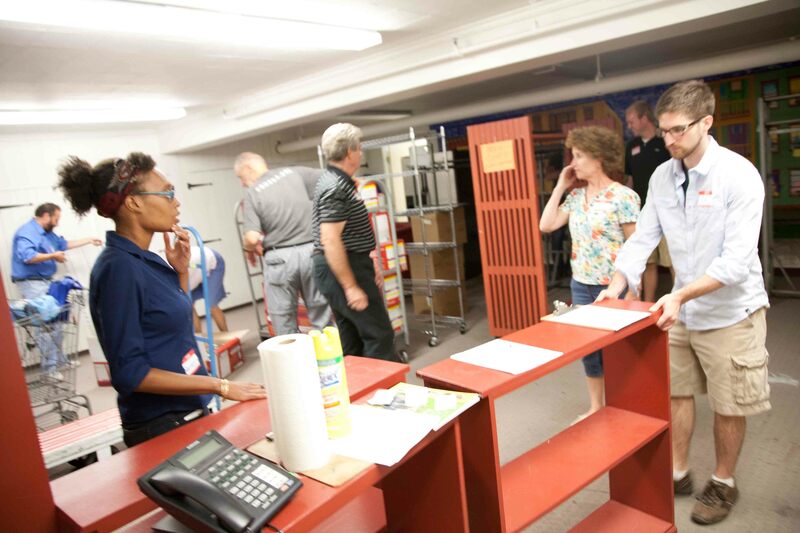 The first team tackled the food pantry to clean and organize the room where the new full-shopping-model Community Pantry will be, and stock the shelves in the current food pantry. They also put together 6 shelving units to create aisles in the room. The upstairs team formed an assembly line and packed 225 backpacks with nutritional snacks and easy to make meals for the kids who are on free or reduced lunches during the school year and would otherwise go hungry over the weekend. Both teams did an efficient and amazing job at all tasks at hand. Coming together to make a difference and to share their favorite part about service was something that everyone in the room could relate to and enjoyed on the anniversary of September 11th. Everyone had something to share, which made it an encouraging, motivating and fun space to be in. 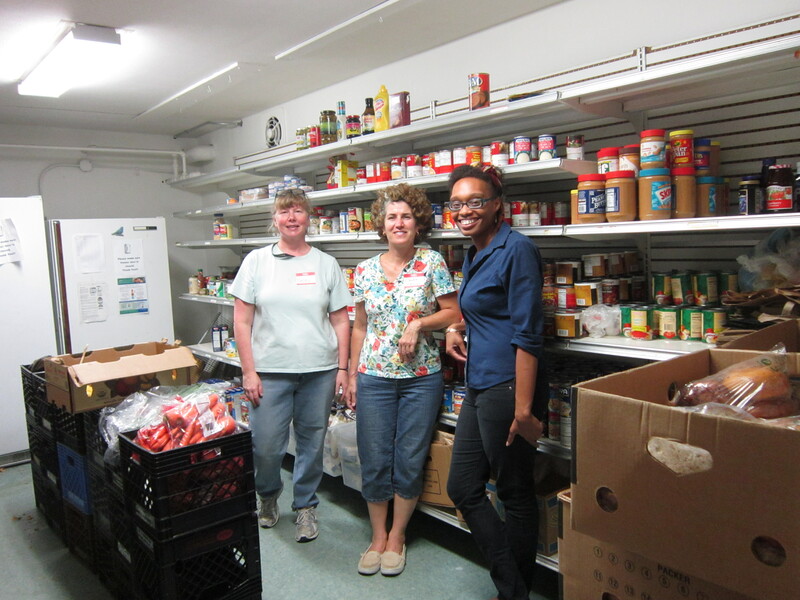 Re-organizing the new room for the Community Pantry. Re-organizing the current pantry shelves. The assembly line, stuffing backpacks. 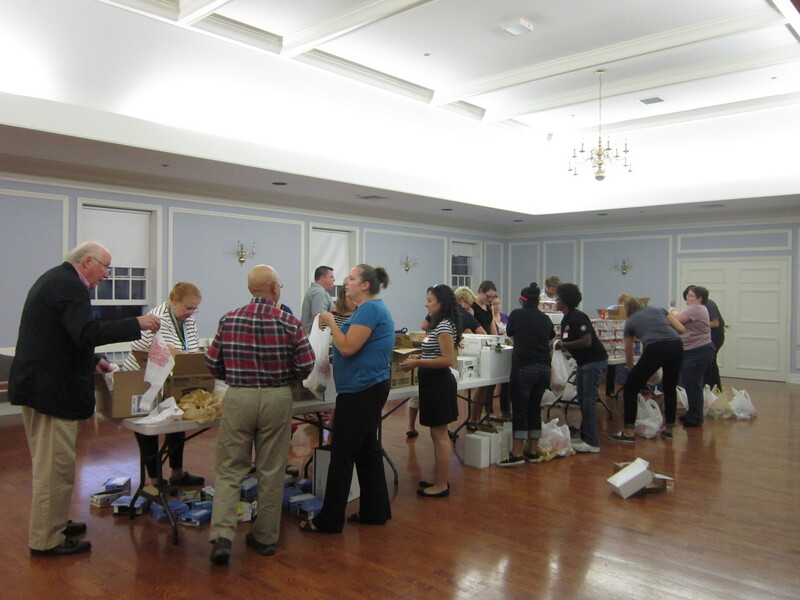 Question: How many pounds of food do you think it takes to feed a room full of 100 people for one lunch time? On an average week day we see between 100- 150 clients for lunch. That is anywhere between 500 to 750 people a week. People from all walks of life need extra assistance today. Not only needing food stamps to help keep food in their pantries, but also an extra free meal or two to make sure they are getting the nutrients they need and for peace of mind. They know they can come to Community Meals for lunch knowing that they may not have another meal that day. The MANNA Community Meals program here at HOH is struggling to help keep that peace of mind. The shelves are looking bare, we haven’t been able to provide variety for our clients nor have we been able to give the portion size that we would like. Monday’s, guests used to count on CM to have chicken as the meal – we haven’t been able to serve chicken on a Monday in weeks. Our food supply, along with other soup kitchens in the area is dwindling. Our needs for fresh meats and produce cannot be met simply because the demand is so high. Soup kitchens are running out of staples like pasta, pasta sauce and rice. We are not only looking to the community for help, we are looking to create awareness. To better address this issue and better serve the people of Hartford who need this service.